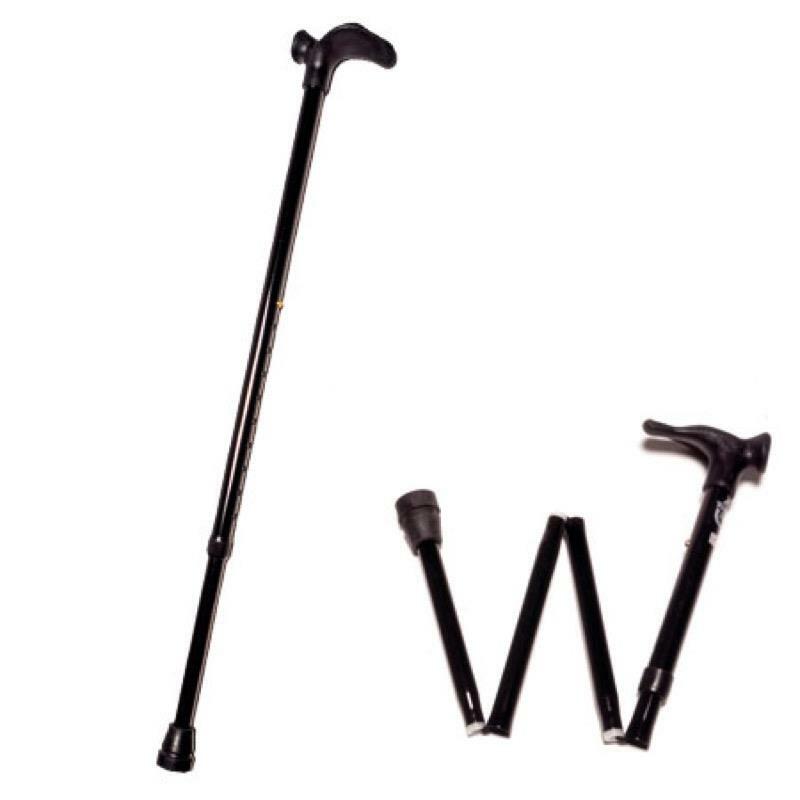 This folding walking sticks have extremely comfortable anatomic right hand grip. They “snap” open and are easily folded away again. Aluminium shaft. These folding walking sticks have extremely comfortable anatomic right hand grips. They “snap” open and are easily folded away in any bag or pocket. They have a very strong black aluminium shaft with rubber tip. The correct size for your walking stick is the same distance as between your wrist and the floor.Available in 2 sizes, 31” to 35” and 33” to 37”. We also have a left handed version available. Please see related items below.